Construction workers are often involved in the renovation and upgrading of buildings or industrial complexes. As a result, construction workers may be at a high risk of asbestos exposure. Asbestos is a mineral fiber linked to mesothelioma, lung cancer and asbestosis. Mesothelioma is a rare cancer that attacks the lining of the organs caused asbestos exposure. Mesothelioma trial results in a $90 million jury award to a former pipefitter. A jury in Bloomington, Illinois awarded $90million to 59 year-old Charles Gillenwater who is suffering from mesothelioma. Mesothelioma is a rare cancer that attacks the protective lining of the heart, lungs and abdomen that is caused by asbestos exposure. The pipe fitter was exposed to asbestos during the 1970s while working at a several job sites including Bridgestone-Firestone, The Eureka Company and Illinois State University. Mesothelioma cancer invades the mesothelium – the lining of tissue that surround vital organs. The most common is pleural mesothelioma or cancer of the lining of the lungs. Mesothelioma also attacks the lining of either the heart, abdomen, or testicles. Symptoms of mesothelioma generally occur approximately 20 to 30 years after the asbestos exposure and include shortness of breath, chest pain and a persistent cough. In most instances, mesothelioma is diagnosed in the advanced stages leaving the victim with 8 months to 18 months to live. Mesothelioma is treated with chemotherapy, surgery and radiation in an effort to extend the patient’s life. The trial lasted for five weeks and the jury deliberated for two days before awarding compensatory damages of $9.6 million against Honeywell International, Inc., Owens-Illinois, Inc., John Crane, Inc. and Pneumo Abex. The jury also awarded $20 million in punitive damages against Honeywell International, Inc. and Pneumo Abex and $40 million in punitive damages against Owens-Illinois. The Asbestos Disease Awareness Organization (ADAO) will hold its 7th Annual Asbestos Awareness Conference in Atlanta, Georgia on April 1-3. ADAO will honor Billy Ray Cyrus at this conference. Billy Ray Cyrus will receive an award on behalf of his late father Ron Cyrus who passed in 2006 from mesothelioma. The artist has been quoted “Hearing the name Ron Cyrus still gives me chills. He was everything to me, but most of all he was my best friend – and mesothelioma robbed me of that relationship.” The country star will pay tribute to his father on April 2 in Atlanta, Georgia on receiving the ADAO “Warren Zevon Keep Me in Your Heart” honor. In addition to honoring Billy Ray Cyrus, the annual ADAO conference titled Asbestos: Impact on Public Health, Environment, and the Economy will have presentations on asbestos exposure issues, asbestos detection and treatment, environmental and economic impact, national and global policy. Asbestos exposure causes mesothelioma, asbestos-related lung cancer, asbestosis and other asbestos-related diseases. Mesothelioma is a rare and aggressive cancer linked to asbestos exposure. Mesothelioma cancer invades the mesothelium – the lining of tissue that surround vital organs. The most common is pleural mesothelioma or cancer of the lining of the lungs. Mesothelioma also attacks the lining of either the heart, abdomen, or testicles. Symptoms of mesothelioma generally occur approximately 20 to 30 years after the asbestos exposure and include shortness of breath, chest pain and a persistent cough. In most instances, mesothelioma is diagnosed in the advanced stages leaving the victim with 8 months to 18 months to live. Mesothelioma is treated with chemotherapy, surgery and radiation in an effort to extend the patient’s life. Homeowners may be at risk of exposure to asbestos due to the insulation either in the attic or wrapped around wire or pipes. In addition to the low cost of asbestos insulation, it has insulating characteristics that make it exceptionally useful in home application. Asbestos insulation is light and can be installed without difficulty into confining spaces such as residential attics. Asbestos fibers in vermiculite are too small to be seen by the naked eye so only a trained technician with a microscope can see asbestos fibers. Therefore, to be safe, you should assume that vermiculite insulation may be contaminated with asbestos. Make every effort not to disturb the insulation. Homeowners especially those who complete do-it-yourself projects may be at an increased risk of asbestos exposure in tackling their own remodeling jobs in older homes. In doing so, homeowners may encounter old or “friable” insulation in attics, wrapped around wires or pipes, or elsewhere in their homes such as older boilers. Asbestos containing insulation can lead to the development asbestos related diseases including pleural plaques, asbestosis, and mesothelioma. As such, we strongly recommend that you hire a trained and certified asbestos contractor to remove the insulation and other “friable” asbestos containing products in the home. 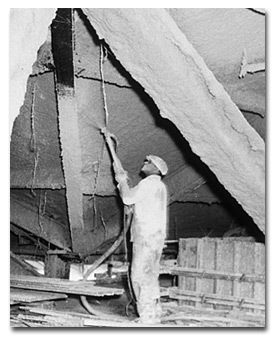 Insulation is used in a host of applications and has long been associated with asbestos. 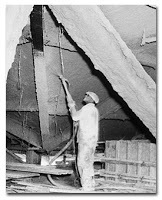 At one time, the workers who installed insulation were often referred to as “asbestos workers” because the majority of insulation produced contained asbestos. 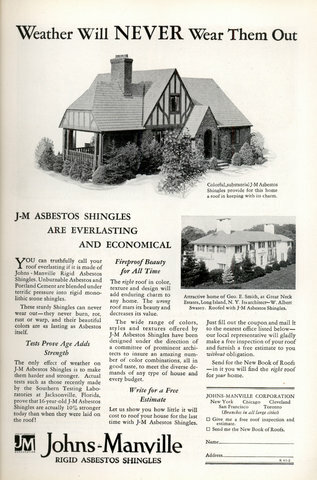 Asbestos was used in insulation because of its unique properties of fire resistance and heat insulation. The dangers of asbestos were known to the owners of the oil refineries and petrochemical and chemical manufacturing facilities long before they were finally forced to stop using asbestos-containing products and remedy the facilities or replace the contaminated machinery. Temperature control is key to the efficient operations of these facilities. 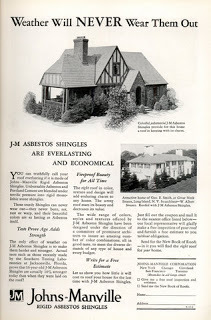 As a result, asbestos was used extensively because of its insulation properties. Refineries and chemical and petrochemical manufacturing plants, for example, typically contain miles of piping insulated in the past with asbestos. In addition to the insulated piping, cracking coils in refineries as well as boilers and vats in chemical plants were often insulated with asbestos. Still further, valves and pumps with asbestos gaskets and packing were installed in these facilities. The construction of these facilities required teams of pipe fitters, plumbers and other outside specialty trades. The day-to-day maintenance of refineries and chemical plants is typically performed by the full-time staff. The dismantling of these facilities was typically done by demolition specialists and. During the construction, maintenance and demolition of these facilities, the refinery, chemical and petrochemical workers were at an increased risk of asbestos exposure. Mesothelioma Pain Symptoms: Mesothelioma is an extremely painful cancer. The most common is pleural mesothelioma or cancer of the lining of the lungs where the majority of patients suffer pain in the lower back and sides of the chest. Victims of pericardial mesothelioma or cancer of the lining that surrounds the heart often experience chest pain, heart palpitations, shortness of breath, and constant coughing. Whereas peritoneal mesothelioma victims may experience severe abdominal pain. Cause of Mesothelioma Pain: There are many causes of the mesothelioma pain, but most mesothelioma pain occurs when a tumor presses on nerves or body organs or when the mesothelioma invades bones or body organs. Mesothelioma treatment such as chemotherapy, radiation, or surgery may also cause pain. Mesothelioma treatment depends on various factors including the location of the cancer, the stage of the disease, and the patient’s age and health. Mesothelioma is a rare cancer linked to asbestos exposure that attacks the lining of the organs – lung, heart and abdomen. The most common is malignant pleural mesothelioma or cancer of the lining of the lungs. Mesothelioma has a long latency period and symptoms are non-specific, so in most cases diagnosis is difficult before the advanced stages of the disease. 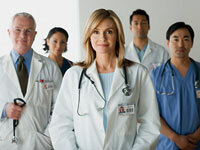 Typical mesothelioma treatment includes chemotherapy, surgery and radiation in an effort to extend the patient’s life. Surgery: Surgery is a common treatment for mesothelioma wherein the doctor removes part of the lining of the chest or abdomen and the surrounding tissue. For pleural mesothelioma or cancer of the lining of the lung, a lung may be removed. This surgery is called a pneumonectomy. Sometimes part of the diaphragm is also removed during this procedure. Radiation: Radiation or radiotherapy involves the use of high-energy rays to kill cancer cells and shrink tumors. Radiation therapy affects the cancer cells only in the treated area. The radiation may come from a machine (external radiation) or from putting materials that produce radiation through thin plastic tubes into the area where the cancer cells are found (internal radiation therapy). The Pacific Meso Center (PMC) at the Pacific Heart, Lung & Blood Institute (PHLBI) will sponsor a UCLA symposium on Lung-Sparing Technologies for Malignant Pleural Mesothelioma. The conference will be the first of its kind focusing on cancer treatments that preserve the victim’s lungs. The symposium will take place on Saturday, May 21st at the Sheraton Delfina in Santa Monica. Malignant Pleural Mesothelioma is an asbestos-related disease that attacks the lining of the chest or the pleura. Mesothelioma also attacks the lining of either the heart, abdomen, or testicles. Symptoms of mesothelioma generally occur approximately 20 to 30 years after the asbestos exposure and include shortness of breath, chest pain and a persistent cough. 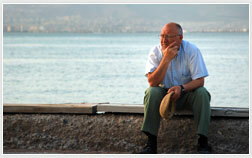 In most instances, mesothelioma is diagnosed in the advanced stages leaving the victim as short as 6 months to live. The conference will be led by Dr. Robert B Cameron, Director of the Mesothelioma Research Program at the David Geffen School of Medicine at UCLA and a long time advocate for lung-sparing technology. The conference will feature Mr. Tom Treasure, MD and Mr. David A. Waller, MD from England who will discuss the recent results of the Mesothelioma and Radical Surgery Trial conducted in the UK. The program will also feature experts in the fields of surgery, radiation, chemotherapy and pulmonary medicine. The conference is designed for physicians but mesothelioma victims, their families, students and other interested parties may attend.